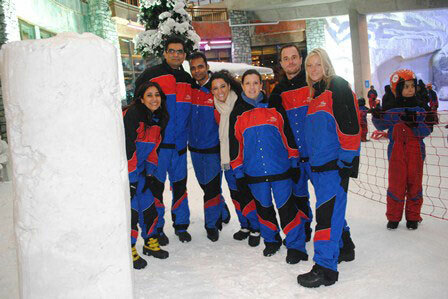 With our tailor-made group packages, Ski Dubai allows you and your team to really bond at the same time as enjoying an incredible corporate fun day in the snow! Regularly voted one of the best team building activities in Dubai, our packages have been specially designed to help build communication skills and boost the morale and productivity of your staff. Book your team outing today and experience an away-day like no other, at one of Dubai’s most unique attractions! Bring out your team’s competitive side with our incredible Snowman Challenge, and see who can craft the best snow sculpture! 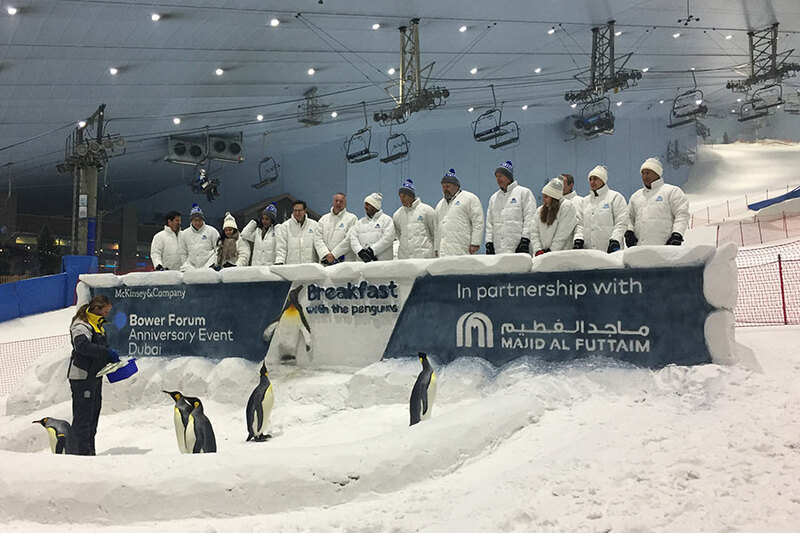 Watch a professional snow carving demonstration then give it a go yourselves, as groups compete to build the best snowman and enjoy a team building exercise which will enhance their communication skills and help them get to know one another better. 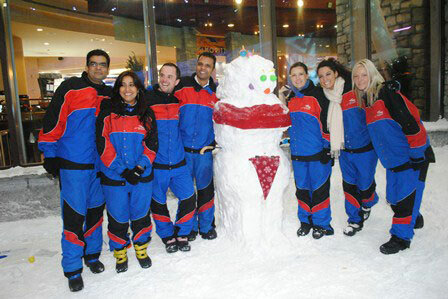 Put their teamwork skills to the test with Ski Dubai’s awesome Treasure Hunt competition, and enjoy one of the best team building activities in Dubai! Run, crawl, jump and slide your way to the finish line, with courses catering for all levels of physical fitness and ability. Six challenges of various mental and physical intensities. A team building package that aims to improve performance in a team-based environment through aligning around goals, building effective working relationships and finding solutions to team problems.